Through the bonding process, laminating presses are able to provide these substrates with additional beneficial characteristics such as UV-protection, water-proofing and light-resistance. Laminating presses have multiple openings, one for each plate, and precise controls for temperature and pressure. Multilayer laminating presses apply both pressure and heat to laminate and pre-preg to make multilayer boards. Laminating presses are utilized in a wide range of applications and industries including: sports and recreation, in which laminated fabrics are often used for athletic apparel such as footwear; industrial manufacturing, for use in the lamination of structural components for industrial furniture such as workstations; construction, in order to laminate building materials such as kitchen or bathroom counter tops or flooring; research, for the lamination of various laboratory furniture for extra protection and sterilization; and electronics, to laminate electrical devices such as printed circuit boards (PCBs). Also known as laminators or laminating machines, laminating presses are often thought of as their commercial version, small desktop machines used for ID cards, pictures, name tags and more. However, laminating presses can be very large pieces of industrial equipment as well. 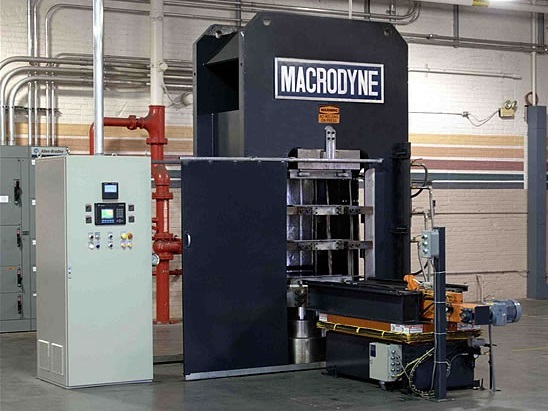 Industrial-sized laminating presses feature stacked heating and cooling platens, laminating presses operate by heating one opening of the press while cooling the other; thus, fast lamination results are achieved. The platens of the laminating press may be heated by steam, oil, or electrically. Once heated, the polymeric material, which could include plastics such as vinyl, polyester or polyurethane, is melted and adheres to the substrate. Then, when cooled, the material bonds to the surface of the substrate, resulting in a thin layer of protective polymeric material. Typically, laminating presses are a type of hydraulic platen press, which are defined by the large, heavy, flat metal plates that they use in order to crush and condense materials. In a laminating platen press, the bottom platen typically remains stationary, while the top one moves up and down. The movement of the top platen is powered by hydraulics, which is defined as movement or operation through the use of pressure created by liquids, typically water. 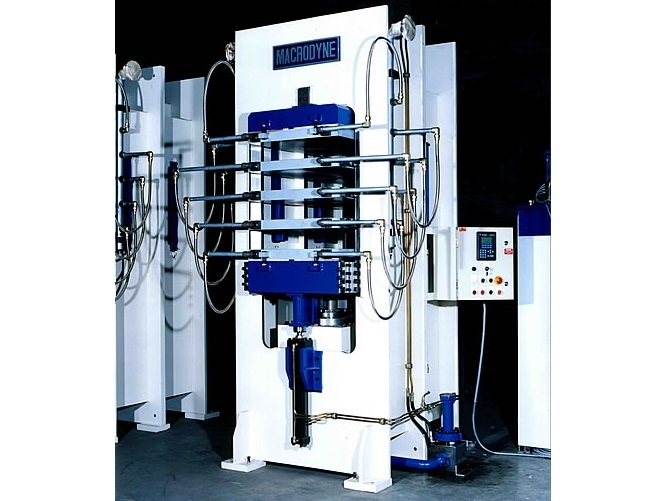 Laminating Presses Laminating presses are manually-operated hydraulic press that function to bond together various layers of polymeric materials onto other substrates including paper, wood, glass and metals such as copper, brass and stainless steel.